So how many of you held your breath when you heard certain-not-so good-looking celebrities were expecting a baby only to be frosted at how adorable their “mini-mes” turned out be? Probably everybody must have had a similar experience. People with the lucky DNA so to say, are often said to posses a real boon for having nothing but cute children. Of course it is no doubt that how attractive people think we are, plays a key role in the way they assume our offspring will look. But this is not always the case because some people, even celebrities you would not classify as attractive produce beautiful children while attractive parents produce not so much. If you are still in doubt, just wait because you are about to get surprised by the attractiveness of some offspring from the so-called unlucky celebrities. Click through below to see stunning children from unattractive celebrity moms and dads. 65 year old Formula one manager Flavio Briatore might have been good to behold 5 decades ago, but right now, he looks like a grandpa who should be bouncing his grand kids on his knee rather than his own kid. That not withstanding, Flavio has a very pretty looking little man who obviously knew better than to take after his daddy. Flavio’s little boy Nathan Falco, shows off the excellent looks of his fashion model and TV personality wife Elisabetta Gregoraci. Master P is an American rapper, actor, entrepreneur, investor, author, filmmaker, record producer, and philanthropist. It may not be fair to say that Master P is an ugly rapper, but you will agree with me that he isn’t the most nice-looking rapper in the world. Anyways, it is widely believed that beauty comes from within, so outward look is somehow not considered highly in the business. But Master P’s stunning and grown up daughter Cymphonique has the most lucky DNA. She possibly has the most beautiful face in the Miller family and we wonder where she got that from cos’ its certainly not from dear daddy. Howard Stern is an American radio and television personality, producer, author, actor, comedian, and photographer. He is best known for his radio show, which was nationally syndicated from 1986 to 2005. He has three beautiful daughters with his first wife; Emily Beth, Debra Jennifer and Ashley Jade. These girls may be quite tall but its obvious they knew just when to stop growing so they do not go all sticky like their father. He is now married to Beth Ostrosky Stern. Seal is a British soul and R&B singer and songwriter. He is a wonderful singer and we are certain he’s got a tremendous personality but he sometimes look like he’s got a Halloween mask on. Even the news of him dating German model Heidi Klum kind of shocked many. Despite his looks, he produced children who can stand out anywhere. His kids with Heidi Klum are definitely a result of better work on Heidi’s part. The couple have four kids: Henry Günther Adeola Dashtu Samuel, Johan Riley Fyodor Taiwo Samuel, Lou Sulola Samuel, and Helene Leni Samuel who he officially adopted and she now bears his last name. Tyson has been married three times and has fathered eight children, one deceased, by several women. Tyson also includes the oldest daughter of his second wife as one of his own adding to his biological children. He has got some absolutely adorable children too in spite of the fact that he has a not so incredible looks. Flavor Flav, an American musician, rapper, actor, television personality, and comedian’s case is the most shocking of all. Nobody would have thought he would have such adorable children. The legendary rapper has seven kids and while his baby mommas weren’t certain whose genes their children were going to get their looks from, i think they really did pray well about it because Flavor’s seven little children are so cute. Honestly, Hova is no model. In fact, we don’t even think he had any claims to be one. But his special someone Bey is one of the most stunning women in the world. 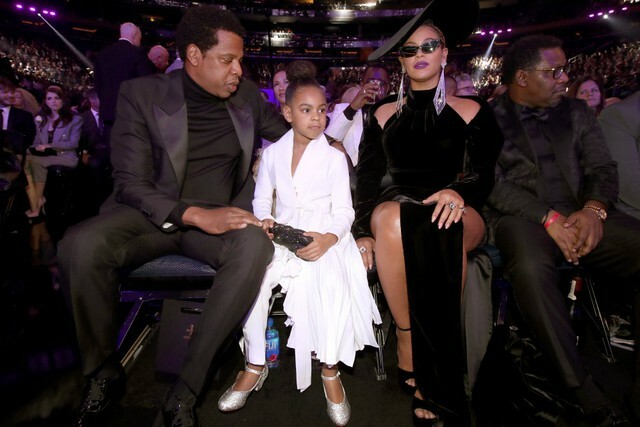 Of course many weren’t shocked when Blue Ivy turned as cute as she is, after all, there was a 50/50 chance right?. Luckily, she got the best of the lucky DNA by looks from her mom and not so much from Jay. You will agree with me that Blue Ivy is not only one of the luckiest kids but also one of the cutest mini mes’ ever. Okay, as much as we adore and respect Eddie, we all know he is not the best looking one out the Murphy brothers out there. Eddie Murphy’s daughters are undoubtedly beautiful and really adorable so the credit is definitely not his.His daughters Lucily, Bria, Shayne Audra and the rest of his six kids got their moms’ looks, which basically means they could all be models. We just have to admit one thing, Jay Electronica is not actually the best looking guy living on earth but his daughter Mars is extremely adorable. Yea, of course Erykah Badu helped out a lot but on the contrary, she risked a lot too! Well, luckily for all of us, Mars was able to make her mom’s look one of her inheritance. She is so cute that Jay wouldn’t stop posting her photos on social media particularly Instagram, despite his wife Erykah warning him a good number of times not to. Well, that’s what a proud dad does especially when his baby gets all the best comments. Oh no! Don’t get me wrong, Faboulous is definitely not bad looking. Of course you can describe him as an okay looking guy, but his kid is a real beauty. The little man Prince Joso is way more cute than Fabulous himself. He is in fact the type of kid that you can’t just resist falling in love with at first sight. He has an adorable afro adding to his stunning look. I am sure the look of the little stunner leaves nothing other than pride in the heart of his father. It must be a truly great feeling, after all, children bring happiness to everybody not just to their parents. Guess whose son this cute boy is? It might sound like a tricky question but he’s Lil Jon’s. The celebrity son Nathan, is such a pretty boy! Just the same way his dad has a pseudonym, he too has one -DJ Young Slade! DJ Young Slade is so adorable you will doubt he is Lil Jon’s son. Though his dad is not really foul looking, but he is not the most stunning man on earth either. Anyway, even though DJ Young Slade doesn’t look so much like his dad, he is certainly getting his dad’s musical talent. He could be a model, that’s if he ends up not succeeding in music business. This is Stevie J’s little daughter Eva. She is without doubt way beyond adorable even though her dad is one of the less fortunate looking celebrity dads. Okay, it is certain that Stevie J has always been known for his hold over the ladies. But as famous as he is, we are well-aware it never had any link to his looks. His baby mama is cute and her beautiful face was enough to develop a stunning, new member of this hip hop family. If you watched Love and Hip Hop Atlanta, you saw how pretty Eva is! She is basically model worthy. Here is another American rapper who has a stunner as kid! Many would think Lil Scrappy would have a less than average looking kid but the reverse is the case. Well, the proud parents (Erica and Lil Scrappy) have been posting pictures of their cute daughter Emani on social networks particularly Instagram, and we can entirely understand why. Emani is one of the most pretty and photogenic kids we have ever come across. Don’t forget this face, because somethings tells me we will be seeing more of her in time to come. Snoop Dogg might be described as well….. Snoop Dogg. It certainly does not matter how he looks anyway, his sons are absolute hunks. They are really good-looking. I mean like really. In fact one of his sons, Corde (far left), has done several runway projects, which is not shocking to us. It appears as one of the world’s best dads, Snoop often knows just what to do even when it come’s to making his children Celebrities. Meek Mill is neither cute nor ugly, he’s just one of those okay people, but he certainly knows how to breed a good looking mini. Now are you aware of the little stunner who has been causing all the fuss around Meek? Well, the answer isn’t far. His son Rihmeek is so adorable that you would want to chunk him up at first sight. 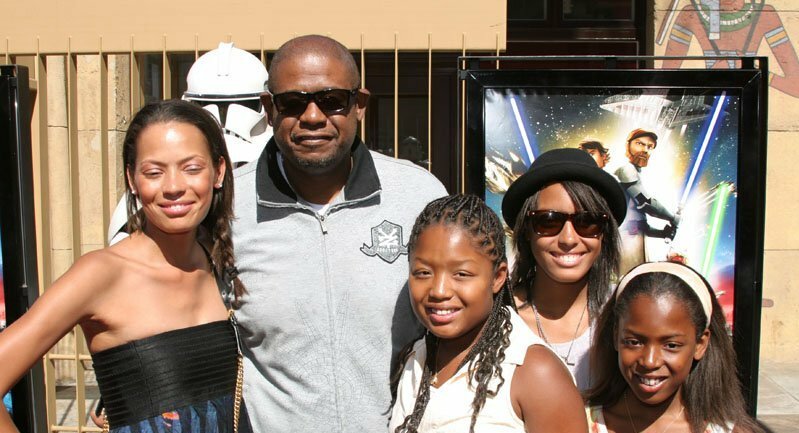 It seems like Forest Whitaker’s daughters True and Sonnet have taken only the best from their parents. Again we ask, how in the world was he able to produce such adorable things? Keep in mind that Whitaker has four children: two daughters together (Sonnet and True), and his son (Ocean) and Autumn (from previous relationships). Their girls are beautiful as well as talented. In fact, Sonnet has already had her first role in the movie First Daughter. We hope she would someday play together with her father because they are certainly going to look great together. Ric Ocasek, an American songwriter, musician and record producer is a less than average looking guy, but has stunning boys. We really don’t want to sound all rude or mean but you can see for yourself that he is nowhere near handsome. Well, Ocasek has been married three times but has been married to model Paulina Porizkova since 1989. Ocasek has six cute sons, two from each of his three marriages. The Game, an American rapper and actor also has a charming daughter. The little miss California Dream, Taylor, is the kind of girl who would make you glance three or more times because you will never be okay with just one glance. You are free to call her Cali Lynn, or cutie pie or The Game’s daughter. Now, we are not saying The Game is downright ugly, but he is definitely not the most handsome man ever. Fortunately, miss Cali here has gotten the right genes. That’s simply the wonders of genetics right? Anyway, she is an absolutely beautiful child! As you can see, the tiny little model’s love for fashion is already manifested and who knows, we might choose to wear the clothes she chooses someday. Diddy is an American rapper, record producer, actor, and entrepreneur and he has six adorable children. His girls got all the good bits of lucky gene and might even inherit his sense for business. Though one can’t say Diddy is horrendous or awkward looking. But who would have thought that he would produce these drop dread gorgeous beauties for daughters! To be honest, who would have thought that he would have kids in the first place. But he did and he is so proud of them. I mean who wouldn’t be?